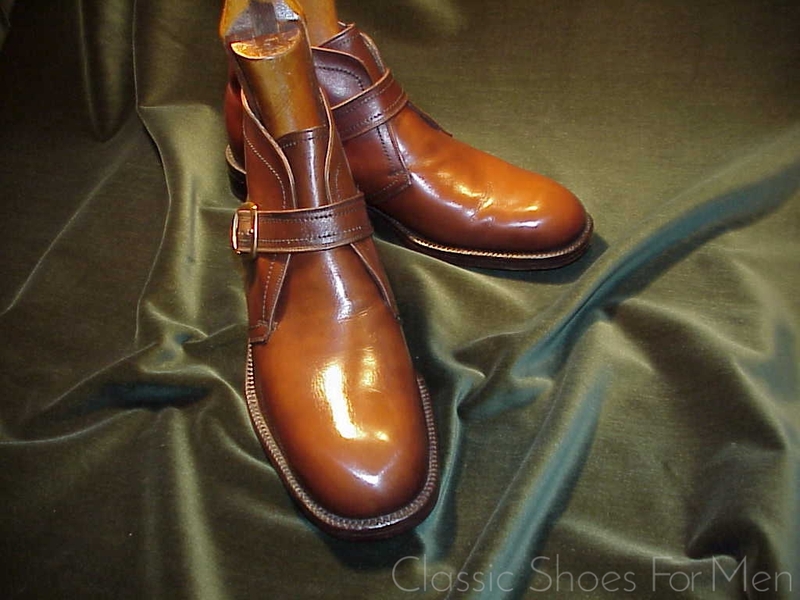 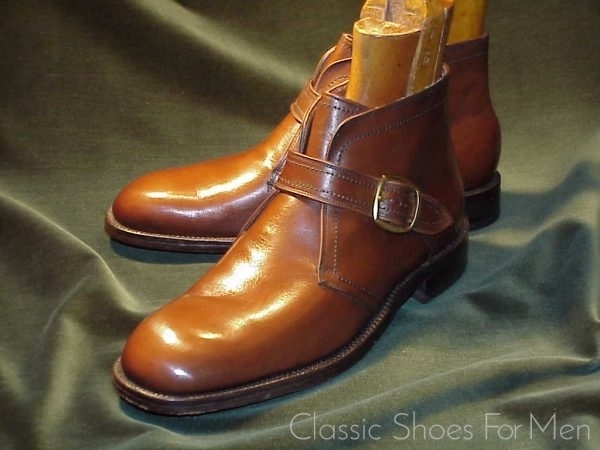 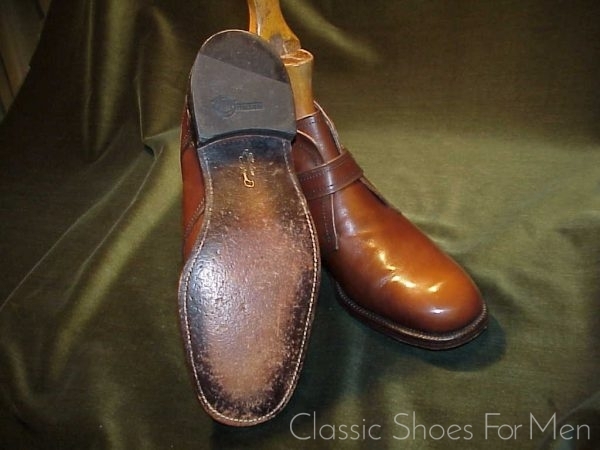 This particular Saddle Oxford is a shoe of special interest both because of darker than usual colour and because it is a model seldom seen in modern times, more seldom still in Shell Cordovan. 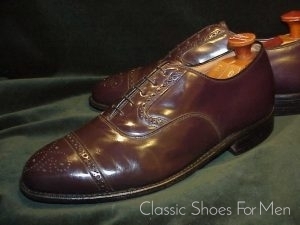 The model itself, the Saddle Oxford is a great classic, a once ubiquitous American university style from the 1920’s. 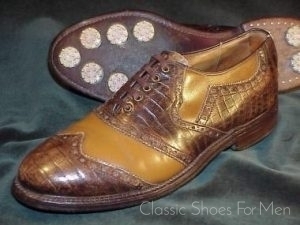 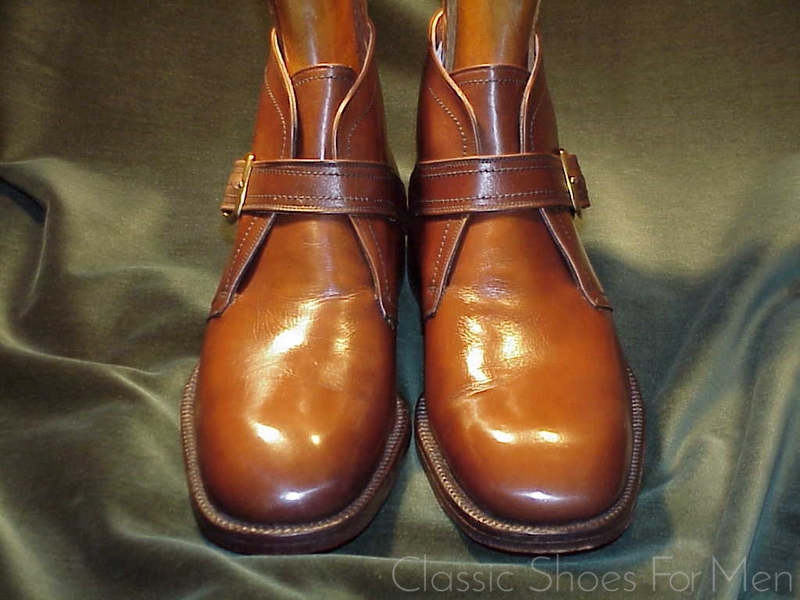 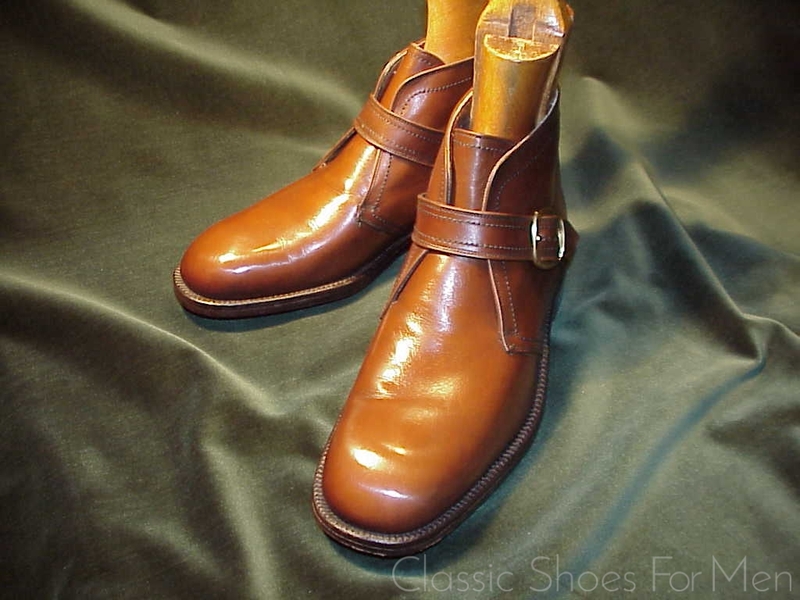 Like all Cordovan Oxfords, it (literally) walks the line between a dressy shoe (because of the plain toe) and a sporting shoe (because of the University and Golf traditions behind this model), and very few Cordovans can compete with the richness of colour and even texture of the Horween Cordovan leather used in this shoe. 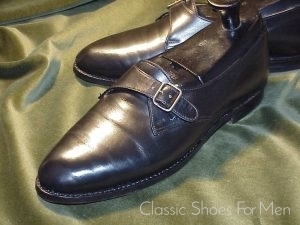 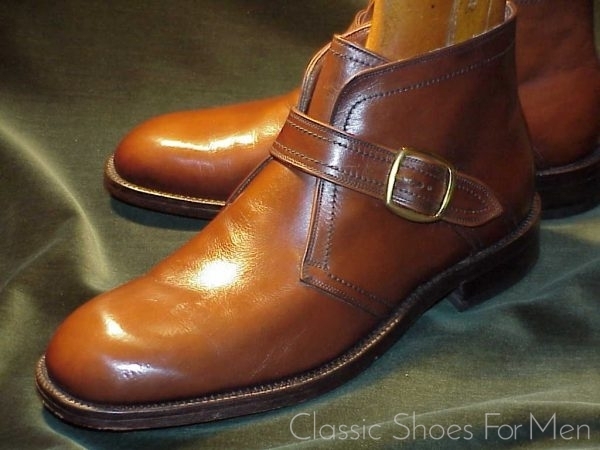 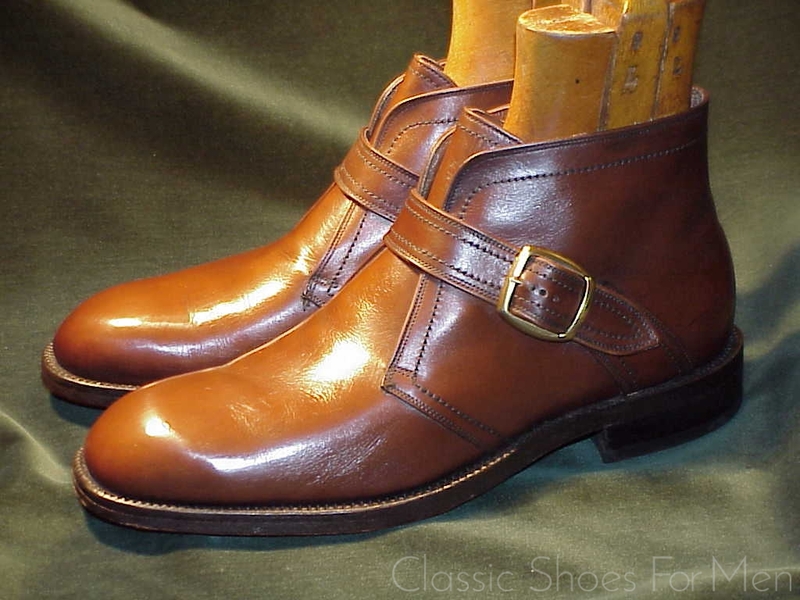 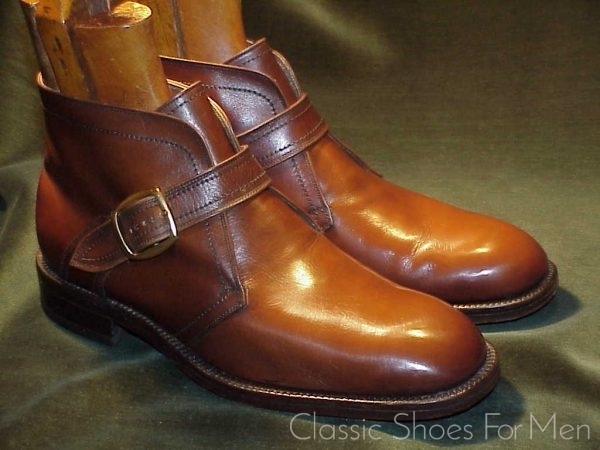 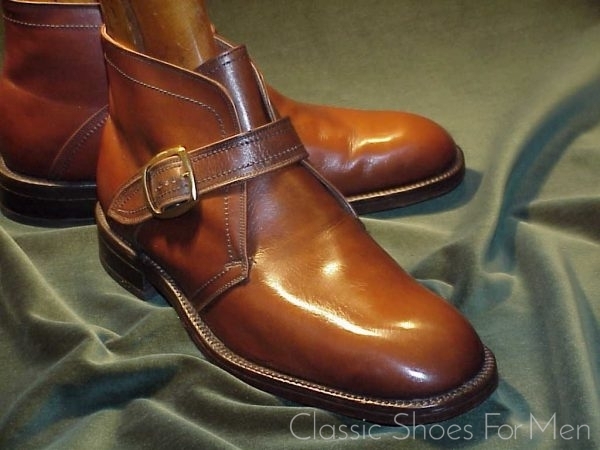 This is a marvelous classic model in the old tradition of workmanship, a handsome and extremely durable shoe. 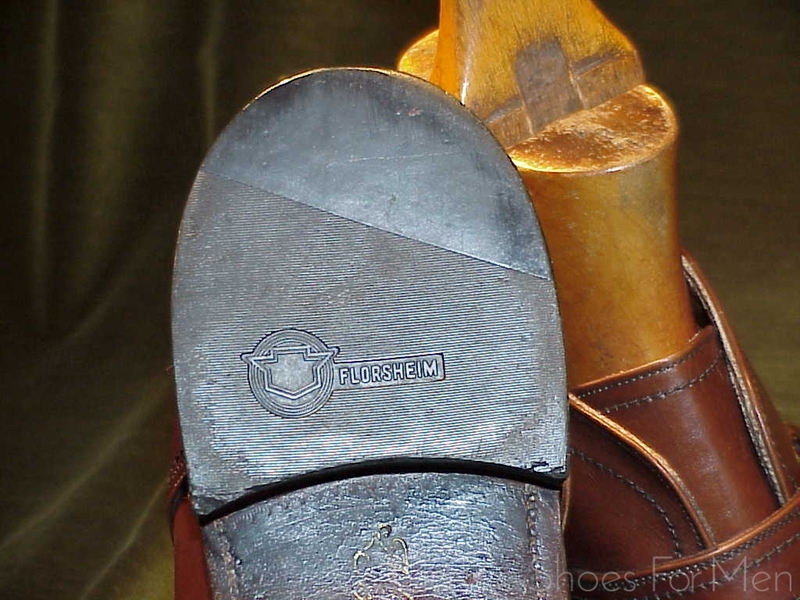 US 10.5D…..UK 9.5E…..European 44D, for the medium width foot. 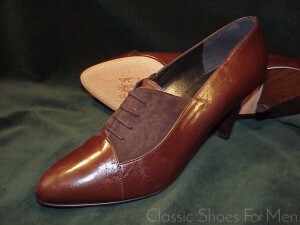 Recently renewed with Vibram rubber half soles (new and unused) and Neolite non-slip rubber heels (very lightly worn).